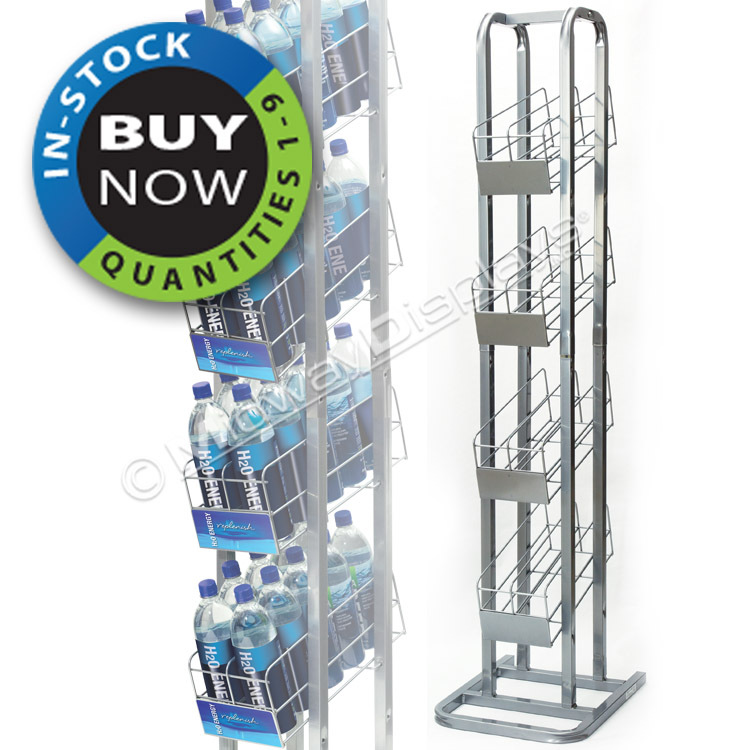 Feature: Create a Custom Look at a Stock Price with this Beverage Rack . 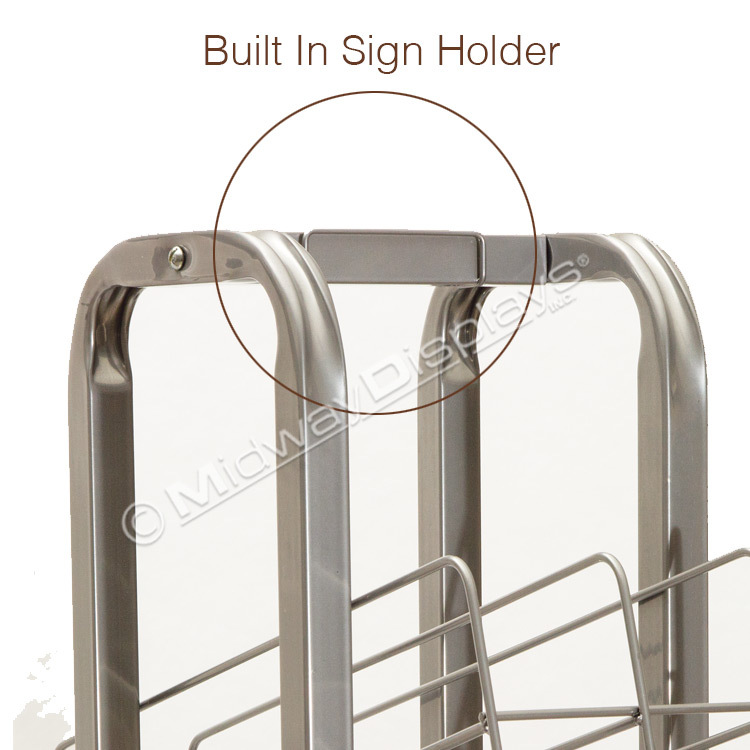 Feature: Fully Welded Metal Construction Creates Greater Stability. 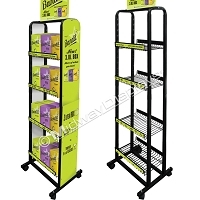 Our dual-frame 1-liter beverage rack is a perfect rack for c-stores, grocery and liquor stores. 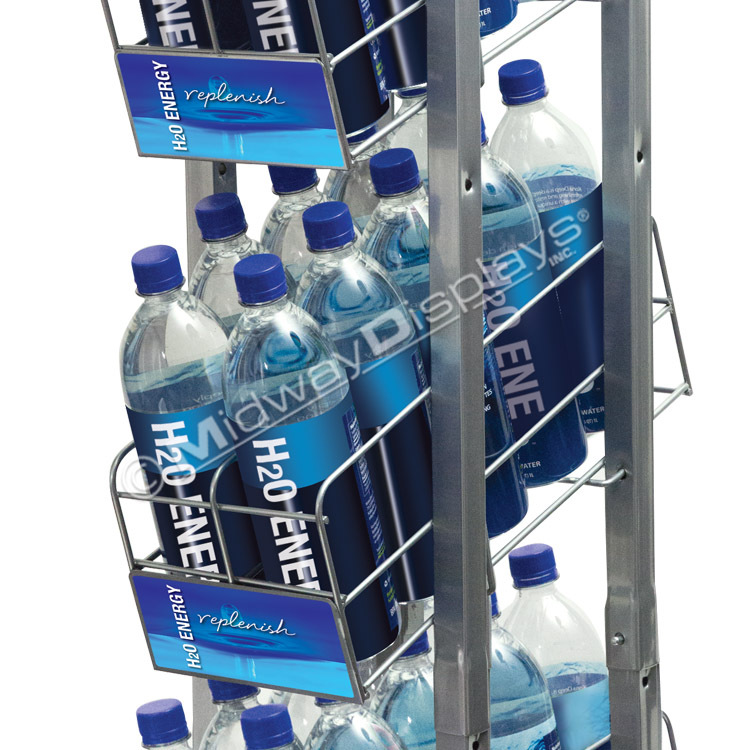 A compact and attractive merchandising solution for the growing segments of water and all natural hydrating sports drinks in the beverage industry. 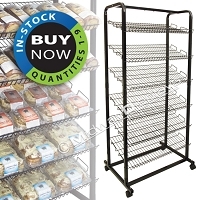 C-store owners will love the small footprint and ease of assembly. 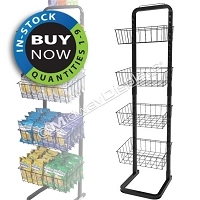 Brand owners can offer off-the-shelf merchandising to supermarkets unwilling to give up any precious shelf space. 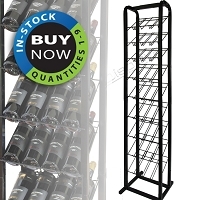 Corrugated end-cap displays generally are just not strong enough for cases of 1-liter stock. 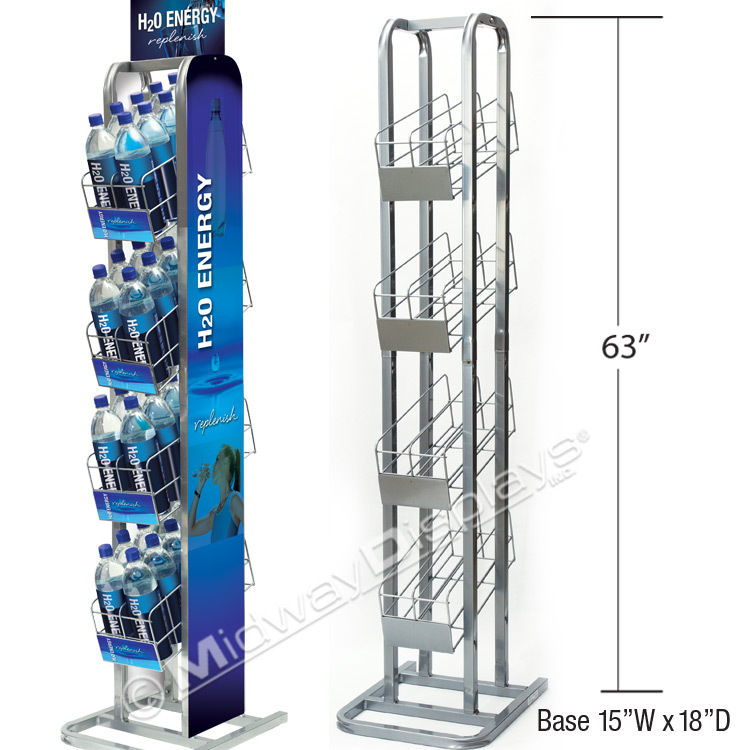 Midway's 4-tier beverage display with gravity fed angled shelves is a win win for, brands, customers and retail venues. 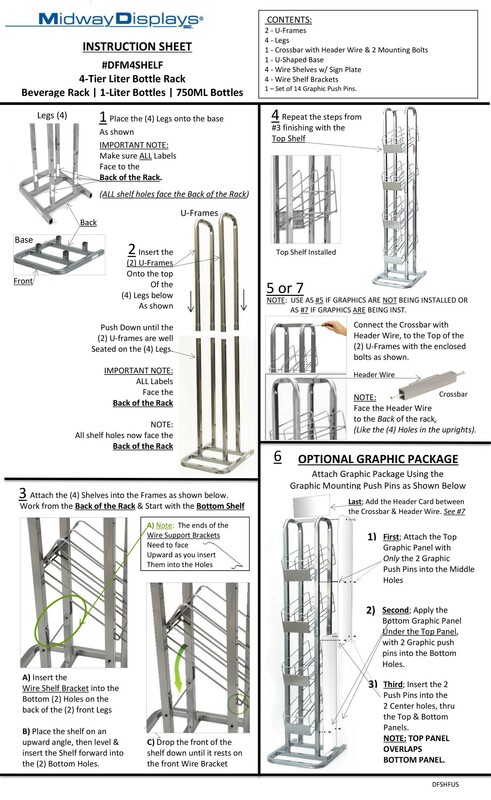 Take advantage of the generous marketing format that a graphic package offers to strengthen your marketing message. 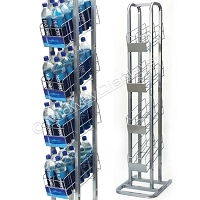 Whether you are selling spring waters, teas, or sports drinks this rack is a smart choice for your 1-liter or 750ml beverage offering. 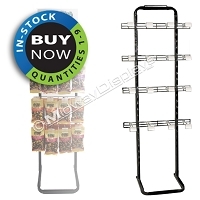 This, like all of Midway Display’s racks, is designed using top grade USA materials to Knock-down efficiently and Pack Small increasing your environmental sustainability goals. (1) Set of 12 Graphic Push Pins. Price discounts begin at 25 and up. Please call 708-563-2323 or fill out CONTACT FORM for quotes and details. We will gladly accept returns for exchange of defective products when the defects are due to manufacturing and/or workmanship within 30 days from the date of purchase. Fulfillment errors that are made resulting in the shipment of incorrect product will also be accepted for return 30 days from the date of purchase. A Midway Displays Return Authorization Form is to accompany all returned shipments or they will be refused. To obtain an authorization form please call our customer service department at (708) 563-2323 ext 229, or email sales@midwaydisplays.com. 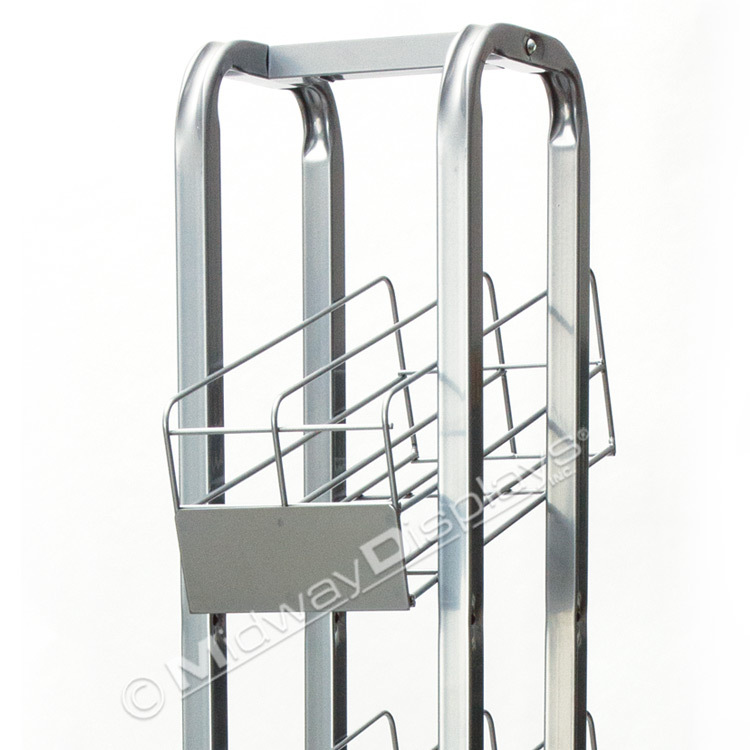 We will gladly accept Cancellations within 24 hours of Midway s receipt of your order. To obtain a cancellation authorization, please call our customer service department at (708) 563-2323 ext. 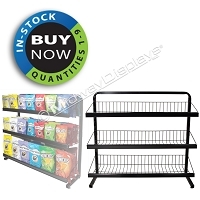 229, or email sales@midwaydisplays.com within 24 hours of Midway s receipt of your order. ALL SALES ARE FINAL on Clearance Items. No returns or refunds accepted on Clearance Items. Click on image below for a full size downloadable PDF file.